Why do I need Respiratory Protection? It is the policy of the UMass Amherst to provide its employees with a safe and healthful work environment. The guidelines of the University's Respiratory Protection Program are designed to minimize employee exposure to occupational airborne contaminants such as harmful dusts, smoke, gasses, vapors, sprays, and hazardous bio-aerosols, as well as oxygen deficiency. This is accomplished, as far as feasible, by accepted engineering control measures, such as enclosure or confinement of the ‘hazardous’ operation, general and local ventilation, and substitution of less toxic materials. However, when effective engineering controls are not feasible, or while they are being implemented or evaluated, respiratory protection may be required to minimize employee exposures. In these situations, respiratory protection shall be provided at no cost to the employees. UMass Amherst Respiratory Protection Program ensures employees who use respirators understand their capabilities and limitations. All members of the University community who wear respirators to safely fulfill their campus tasks must participate in the University's Respiratory Protection Program. When do I need Respiratory Protection? The RPPA will work with you or your supervisor to find methods to reduce the levels of atmospheric contamination. If such methods offer insufficient protection and respirators are required, proceed to the next step, medical evaluation. Because the use of respirators can place a burden on the body and aggravate some medical conditions, medical evaluations are required before a worker is fit-tested and told to wear a respirator. Of special concern is the health of workers who suffer from heart disease or respiratory problems. The Occupational Health Nurse (OHN) will contact you for discussion and or appointment. After determining the employee’s ability to use a respirator, the OHN will provide the RPPA with a written recommendation stating whether the employee is medically able to use a respirator or not and if there are any limitations on respirator use. NOTE: Employees are not permitted to wear respirators until the OHN or a physician or other licensed healthcare professional (PLHCP) has determined that they are medically able to do so. Any employee refusing the medical evaluation will not be permitted to work in an area requiring respirator use. After receiving medical clearance for respirator use, make an appointment with the RPPA at EH&S. At this meeting the RPPA will advise you on the types of respirators to purchase. It is the PI/supervisor's responsibility to provide, and pay for, all personal protective clothing and equipment, including respirators. Call the RPPA to make an appointment for fit testing. 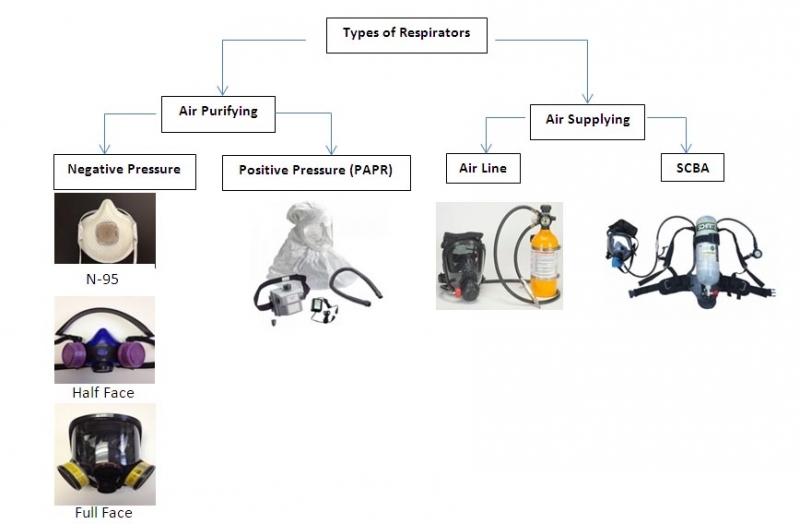 Once the respirator type has been finalized, the RPPA will conduct a quantitative fit test (QNFT) using PortaCount machine specific to the make, model, style, and size of the respirator intended to be used. The RPPA will conduct initial and annual respirator fit testing for all respirator users in accordance with Appendix A of the OSHA Respiratory Protection Standard, 29 CFR 1910.134. Repeat fit testing may be required if the respirator wearer or PI/supervisor notices changes in the wearers' physical condition that could affect fit, and if a different face piece is used. Annual fit testing and training is required. The RPPA will notify you when it's time for renewal. 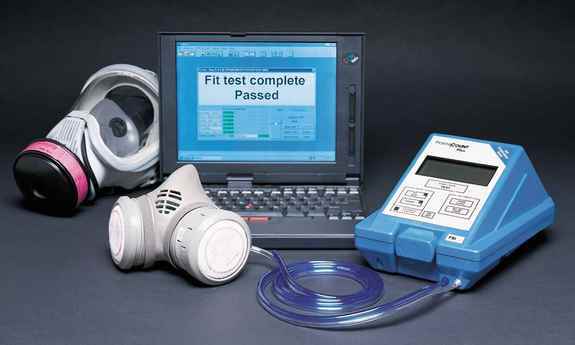 There is no charge for fit testing by EH&S. The general requirements of OSHA’s respirator protection standard. Retraining must be given at least annually, or when changes in the workplace or in the type of respirator used makes previous training obsolete. New or transferred employees must be given their respirator training before being required to use the respirator. What are the regulations and policies governing respiratory protection?